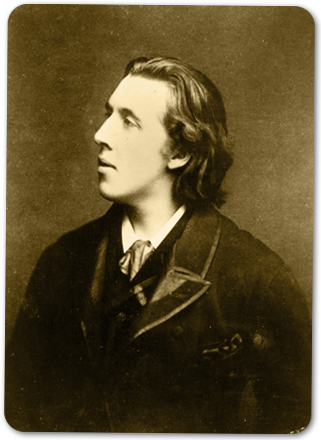 Oscar Fingal O'Flahertie Wills Wilde was an Irish writer, poet, and prominent aesthete. After writing in different forms throughout the 1880s, he became one of London's most popular playwrights in the early 1890s. Today he is remembered for his many epigrams, his plays which are still revived, and the tragedy of his imprisonment and early death. A Wilde Night began with the idea of presenting a performance of Oscar Wilde’s Greatest Hits. I felt that the great writer still had a great deal to tell contemporary society about morality, love and the performance of everyday life. In a culture dominated both by scandal and self-righteousness, a dose of Wildean honesty seemed timely. But as I put the script together, I became fascinated with the man’s own story - its beauty, sadness, folly and power. So we have used his work as a kind of commentary on his own life, going against every orthodox mode of literary and dramatic criticism, which until recently told us to ignore the author and concentrate only on the text - then deconstruct it. But, hey - this is Murdoch! Discoverers are welcome, here we are told. We also added music, which seemed itself an act so frivolous and scandalous that we felt Oscar would approve. The story is this: Oscar, his Mother and his friend Ada have gathered at his own Club in Heaven (or Hell?) all his favourite characters for a party and celebration of his life. They tell the story of his rise and fall; of his work and tragic love affair. We have been deliberately flexible in our attitude to period, but not biographical fact (we hope). Our show is informed by the idea of artifice- that all is appearance, fake and make-believe... except perhaps the desires of the heart, and maybe them too. Enjoy... and drink to the late great Oscar Wilde.